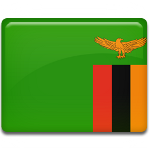 Zambia is one of the poorest countries in the world. Agriculture plays a very important role in economy of Zambia. About 85% of working population is employed in this sector. The major crops are maize, rice, sorghum, peanuts, sunflower, coffee, cane, tobacco, cotton, tapioca. Also Zambians breed chicken, pigs, goats and cattle. The authorities normally give speeches outlining the achievements and advance in the harvest of crops. The citizen enjoy different activities, that are held on the weekend. These can be games, performances, exhibits, carnivals, where people eat traditional and special food. Outstanding persons are presented with awards and prizes. Traditionally, sports competitions, especially soccer championships, are organized on Farmers' Day. Celebration of Farmers' Day is very important for Zambians, because almost everyone uses farming as their profession.